April | 2008 | Full. Body. Transplant. This random squirrel stuff is getting ridiculous, and I love it! I was just laughing, out loud, a lot, at some lame troll over on Daily Kos, right? Well, what pops up as a trance breaker in one of the responses? Yep. You guessed it. 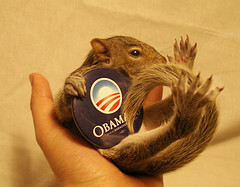 The ObamaSquirrel! I guess I cannot escape my destiny, and I freaking love it. It’s the last day of Crime Lords Month. It’s been seven months straight for this blog, non-stop documenting the verities of my existence. It’s time to take stock. We carry the parenthesis around in our heads. We select certain sections. We choose a portion of the immeasurable thing called life, and we glorify it. It feels good. It gives us a reason to carry on. It shapes the self. When all seems lost, when I cannot get a handle on the endless demands of modern life, I make myself into a legend. I realize that no character in the history of mankind has ever lived a life exactly like THIS. I remember certain times and places in my life when it seemed like I had “arrived”. I revisit the sensation of accomplishment and satisfaction I had whenever I reached a certain pinnacle, and I stand on the mountaintop again right where I am sitting here now. Returning to the scene of a great triumph in the past always makes me feel better about the present and gets me fired up for the future. Whether we ever get there or not. My Life is Blessed Constantly by Magnificent Synchronicity. BREAKING NEWS: Mike Watt sent me an email, with that amazing photograph. In case you don’t know Mike Watt, he is only the greatest bass player who ever lived. If you have been here a while, you have seen me blog about him before. 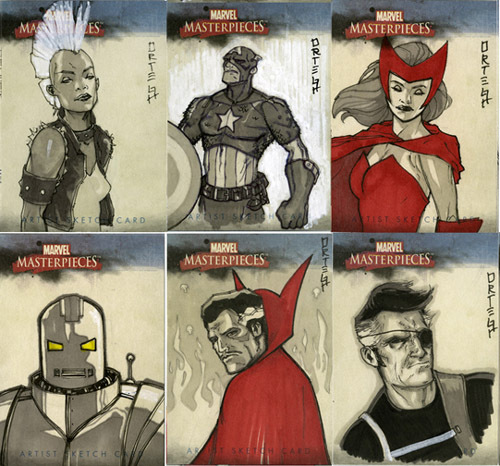 That is another fabulous example of the hand-painted sketch cards that are inserted into the new Marvel Masterpieces packs. Those are by Chris Ortega. 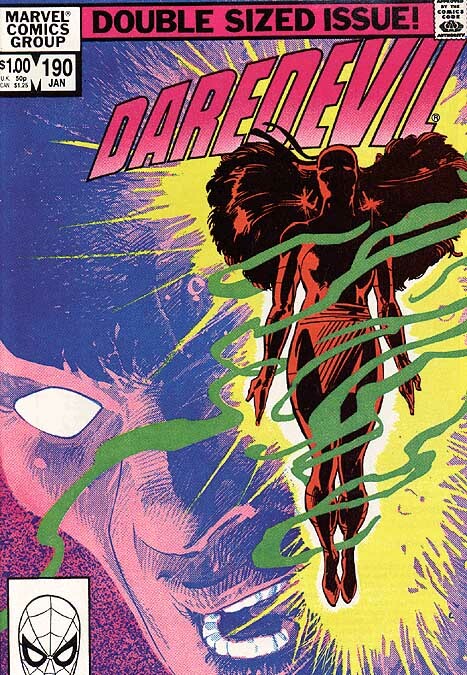 Six random examples that hold some fairly profound connections to our upcoming Marvel Universe expansion set. And, most importantly, they call to me as a beacon in the night. Storm tells me to re-connect with Mother Nature. The entire Cosmos is ready to support our efforts, we just need to shut up and listen. Captain America tells me to continue in my quest to help elect a candidate that can bring real change to our country. It is getting rather scary, and it will get worse, as the old guard clings violently to their power. Scarlet Witch tells me to keep the faith. I know that every single random leaf that I kick into the air when I walk home today could be the trigger for global healing and joy. Iron Man tells me that there will be a killer movie opening this weekend. I can’t wait. Dr. Strange tells me that there are forces beyond normal comprehension that can be embraced and engaged in the quest for Coolness on Earth. Those forces are waiting at all times to be summoned. Nick Fury tells me that the new Vs. System cards are going to be a party of the most fantastic kind. 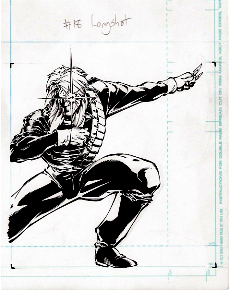 I have never been much of a fan of the man with the eyepatch, in fact we have ragged on him for decades. Now he is a hero in our house, and the future will never be the same. No one is ever beyond the forgiveness of the human heart, and every dark day can be transformed into a full scale celebration. 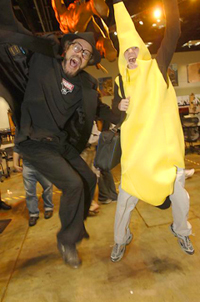 Onward! 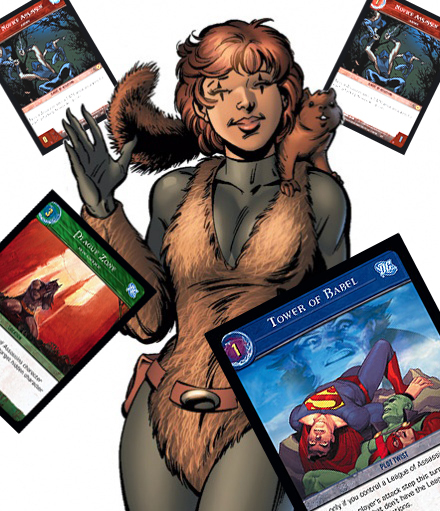 Movie Magick: Angelina Jolie as Squirrel Girl, Hellboy Daddy does The Hobbit. That’s Angelina Jolie, as a member of the Fraternity of Assassins, in this summer’s Wanted. It opens on June 27th, smack dab in the middle of the greatest single season in cinema history. 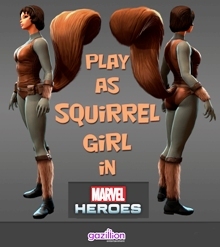 Since our beloved Squirrel Girl is now an assassin herself (click here for an explanation), I plan on calling that sizzling Tattooed Woman “Doreen”. And, the BIG NEWS. Guillermo Del Toro, the genius behind the film versions of Hellboy, has moved to New Zealand to begin filming on The Hobbit. After the amazing work he has done with Liz Sherman, I predict some seriously awe-inspiring action in The Shire. It’s a great time to be alive, meet me in the comments and we will gush about the upcoming crop of movie magick. League of Extraordinary Wood Rats. Beyond that, I am open to suggestions. I have never been initiated into the League of Assassins. 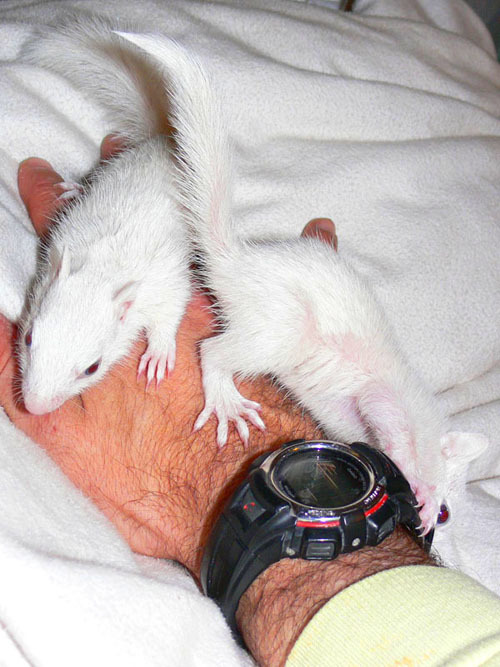 How would you work those killer tricks with two handfuls of bushy tail? You can click on that for a closer look. 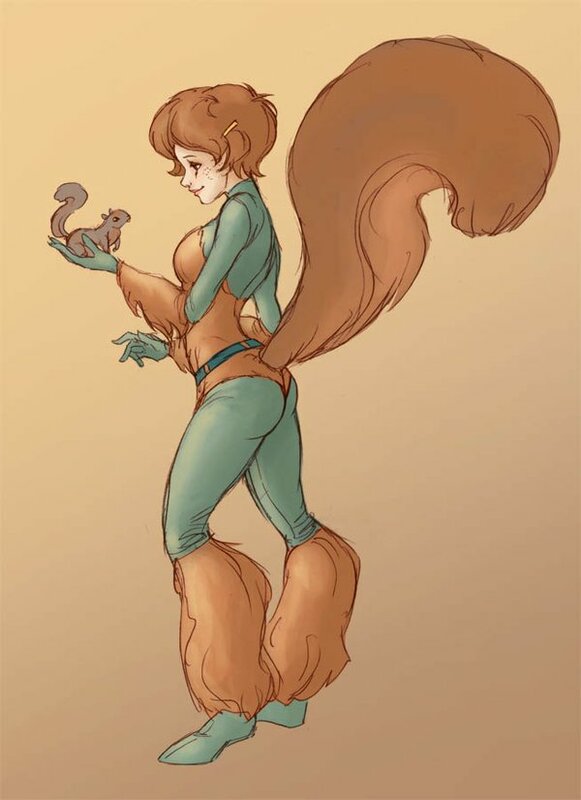 It’s true, Squirrel Girl can beat ANYONE in the comic books. I have received a couple incredulous emails, so now I present the proof. 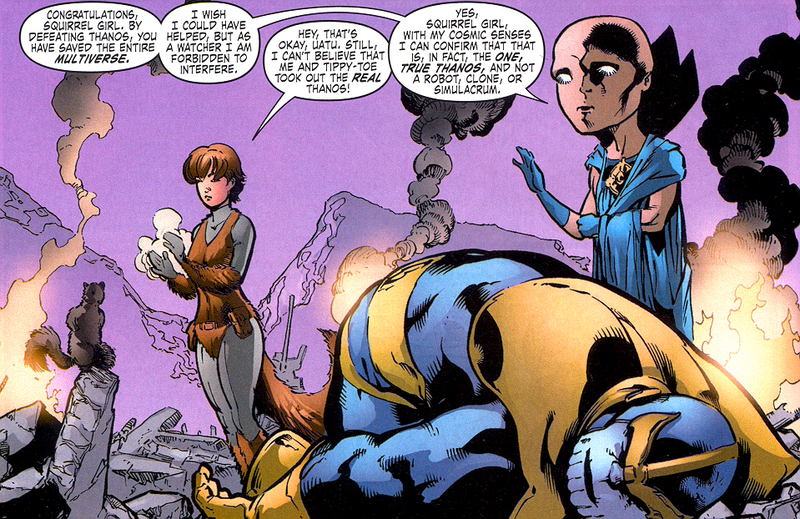 She took down Thanos Himself!